Publisher's Note: This book was previously released as part of the Boots, Chaps and Cowboy Hats anthology by Totally Bound Publishing. This short story is full of heat and desire which builds nicely. As the men's predilection for threesomes is common knowledge, Channon is not surprised at their suggestions – in fact, she has been dreaming about it since she was a teenager. As there is history between them all, the speed and depth of feeling works. 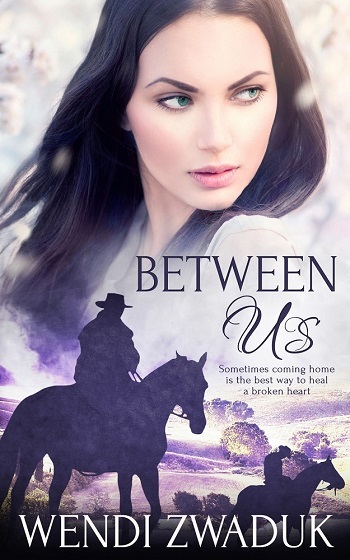 There is a little twist in the story, and plenty of passion, as well as some cowboy fantasy fulfilment. Fun read. I love NASCAR, romance, books in general, Ohio farmland, dirt racing, and my menagerie of animals. You can also find me at my blog. 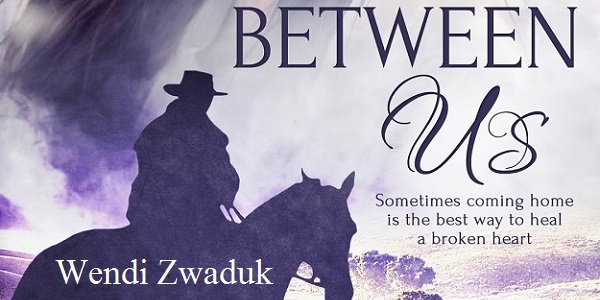 Reviewers on the Wicked Reads Review Team were provided a free copy of Between Us by Wendi Zwaduk to read and review.